Without question the best time to arrive is as close to our 10am opening as possible. There is even a pre-opening show at the village gates begininng at 9:45 am. There is a lot to see in a day (or even two). With 27 stages of entertaiment and over 200 shoppes, the longer you have to visit Scarborough village, the more you will be able to see and experience. Ticket prices are available on our Ticket Information and Pricing page. Tickets can be purchased online or at the gate. ‘Child’ tickets are for children ages 5-12. Children age 4 and under are always free. Parking is free. Group Tickets: Group tickets may be purchased online only. You can receive information about group events by email or by calling 972-938-3247, ext. 17. Consignment Tickets: Consignment tickets may be ordered by email or by calling 972-938-3247 ext. 43. There are further details about Group and Consignment Tickets on our Consignment Ticket Program page. There are no refunds or exchanges for any ticket. Do you offer discount tickets or coupons? Discount Tickets will be available at area Tom Thumb and Albertsons Stores beginning March 29th, 2019. Waxahachie Nissan will have Coupons good for $2 off One (1) Adult Ticket beginning March 29th, 2019. Waxahachie Nissan will have 2 Free Tickets for any Test Drive beginning March 29th, 2019. Group Tickets: Group tickets may be purchased online only. You can receive information about group events by calling 972-938-3247, ext. 17. Consignment Tickets: Consignment tickets may be ordered by calling 972-938-3247, ext. 43. There are further details about Group and Consignment Tickets on our Consignment Ticket Program page. 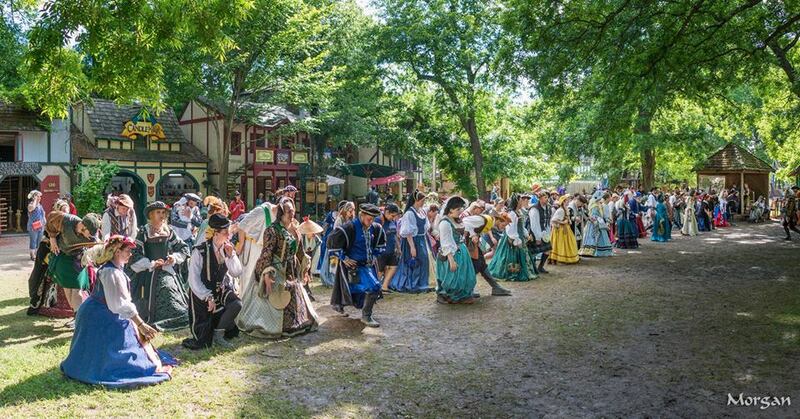 Military Discount: Active Military Personnel and up to four members of their family receive $4.00 off admission (valid only for adult tickets) upon showing valid military identification at the Scarborough Renaissance Festival® Ticket Office. Offer only valid at the Gate. Seniors (65+) receive $2.00 off of adult admission upon showing valid identification at the Scarborough Renaissance Festival® Ticket Office. Offer only valid at the Gate. Opening Weekend Only (4/6/19 – 4/7/19): Up to 3 children (12 and under) admitted free with each paid adult. Seniors (65+) are 1/2 price. Parking is free compliments of Waxahachie Nissan. Keep in mind that the earlier you arrive, the closer you park. If able, please bring cash with you as cash is the only payment option for Food, Beverages, Games, & Rides. Where do you accept Credit Cards vs Cash? All of the Scarborough Renaissance Festival® Ticket Windows & Souvenir Shops accept all major Credit Cards. However, Food Booths and our Pubs & Taverns only accept Cash. Our games and rides also only accept cash. If you do not have Cash on hand, we do have ATMs available throughout the Festival site to assist you, but we do suggest that you bring sufficient cash with you for your visit. If you do not wish to carry Cash, our Ticket Windows sell “Renaissance Dollars” that are accepted like Cash throughout the Festival. Dress at the Festival is casual; t-shirt, jeans, shorts, picnic-style clothes. If you would like to enter the spirit of the Renaissance by wearing a costume, we welcome you to. Rental costumes are available at Suit Your Fancie (right inside the Front Gate). Renaissance clothing is also available for purchase from the fine clothiers at the Festival. What Are We Allowed to Bring In? You may bring food and water for infants. There are picnic tables outside the gates if you wish to lunch on your own food. No outside food or drink is allowed in the Festival. If you need to leave the Festival but wish to return later that day, you may get your hand stamped at our Exit Gate so that you can re-enter the same day without charge. Is There Handicap Accessibility at the Festival? The Festival site is generally handicapped accessible. Dragon Wagons, located just outside the front gate, rents wheelchairs, electric scooters and Dragon Wagons (on a first come first served basis). Do you rent wheelchairs/electric scooters/wagons? What About Drinking at the Taverns & Pubs? A wide variety of beer, wine, frozen beverages, and craft beers are available for your enjoyment. Visit our Pubs & Taverns page for a full listing of offerings. We encourage all of our guests to drink responsibly. You must be at least 21 years of age to purchase alcoholic beverages at Scarborough Renaissance Festival®. No alcohol may be brought into or out of the Scarborough gates. The management discourages the use of weapons as costume adornments, as the safety of our patrons is our utmost concern. Any weapon adornment must be “peace-tied” and otherwise protected so any sharp edges are covered, and so it cannot be drawn or wielded while on the grounds. Scarborough does not allow open carry and have the 30.07 code posted at the entrance to the Festival. Due to the wide variety of potential “weapons” each item is handled on a case-by-case basis when the patron enters the festival. The Front Gate personnel determine what will and will not be allowed into the festival, as well as how it will be “peace-tied” and protected before the patron enters the festival. To avoid your weapon being held at the entrance gate until you depart the Festival, we advise that you do not wear weapons as costume adornments. Security personnel will monitor the wearing of weapons on the festival grounds. On violation of our weapons policy, Security personnel may confiscate any weapon and expel the violator from the festival grounds. Southwest Festivals, Inc. reserves the right to exclude a patron/participant from carrying or wearing a weapon. Look for the sculptured water fountains around the site in the shapes of a dragon, a jester, a knight and others. Water fountains may also be found near each of the restrooms and at the exit gate. Scarborough Renaissance Festival® is a juried craft show. The Jury is held in January of each year for the following season. The Festival requires that you produce your own product and not be simply a reseller. Contact the Craft Director at [email protected] for more information or an application, or download the application with the following link: Download the Artisan Application here. For information about actor and musician auditions for the Scarborough Academy of Performing Arts (SAPA) – lane performers of Scarborough Renaissance Festival® – please contact [email protected]. Auditions will be held on Saturday, January 19th by appointment only. To schedule an audition please fill out the following form and our Cast Director will get back to you as soon as possible! Please Note: the festival offices will be closed from mid-December to January 3rd so no one will respond during those dates. A DVD of your act between five and fifteen minutes long. Your resume, references and any PR material that you may have. Your daily salary requirements. Stage acts normally do four 25 minute shows per day. Street performers are scheduled for breaks. Your availability. The show runs for 8 weeks on Saturday, Sunday and Memorial Day Monday. There may be at least one Student Day, usually during the first week of May. We are more than happy to visit your website for additional information, but you MUST SEND THE REQUESTED MATERIALS BY MAIL. We will not open unsolicited email attachments. For serious consideration, all proposals must contain salary requests. We do negotiate, but we must have a baseline for budgetary reasons. Submissions are accepted on an ongoing basis. To be seriously considered for the 2020 season, all materials should be received no later than June 1, 2019. Materials will not be returned. Can I have a Renaissance Wedding? The Festival offers a variety of Royal Renaissance Weddings. For more information visit our Weddings page or contact the Festival Office at 972-938-3247, ext 17. Many village artisans demonstrate their crafts at their shoppes. Demonstrations include blacksmithing, glassblowing, coin pressing, pottery, soap making, glass, printing, and type casting. Click here for a list of demonstrations. Scarborough Renaissance Festival® does not have patron camping on site. For a list of area hotels and campsites please see the Area Lodging Page. More than a score of uniformed and plainclothes security officers along with Safety Services staff patrol the village with radios. If for any reason you need security, stop by any of the food booth areas, the front gate, or pubs and the staff will contact security. Visit our Employment page or contact the Festival Office at 972-938-3247, ext 11. Please refer to the Festival Map for the location of the restrooms, known in the village as Privies. Click here to subscribe to our E-Newsletter Mailing List. How Do I Request Donations of Admission Tickets For My Organization? As you might expect, Scarborough Renaissance Festival® receives numerous donation requests in support of a variety of worthwhile causes. In an effort to be consistent and provide support to as many organizations as possible, Scarborough Renaissance Festival® regrets that it can donate only to fundraising events in Texas. Provide a request letter from the charitable organization on official letterhead stationery. Submit request a minimum of 1 month prior to fundraiser/event. Specify the date of the fundraiser/event. Include explanation of the fundraiser/event. Include a signature on each letter. The principal must sign school requests. Include fliers or newspaper articles with requests when possible. E-mail and phone requests will not be accepted. If you lose something please inquire at the Exit Gate. If you find something please turn it in at the Exit Gate.